Is there a better alternative to FolderImager? 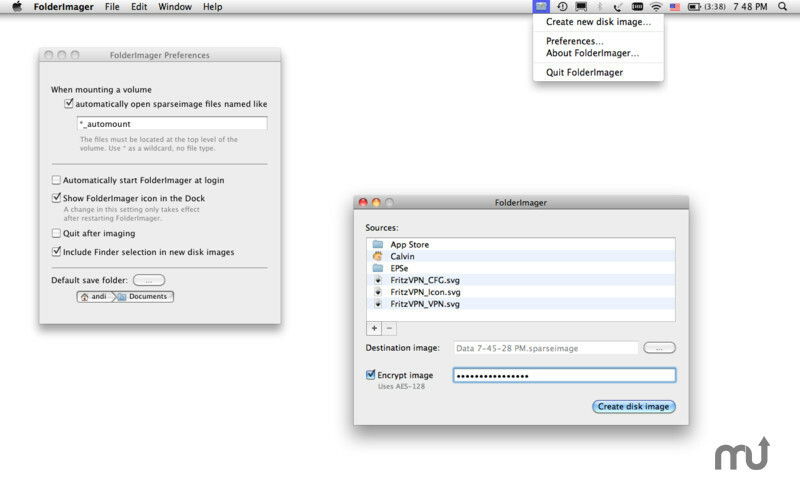 Is FolderImager really the best app in AppleScript category? Will FolderImager work good on macOS 10.13.4? FolderImager needs a review. Be the first to review this app and get the discussion started! FolderImager needs a rating. Be the first to rate this app and get the discussion started! 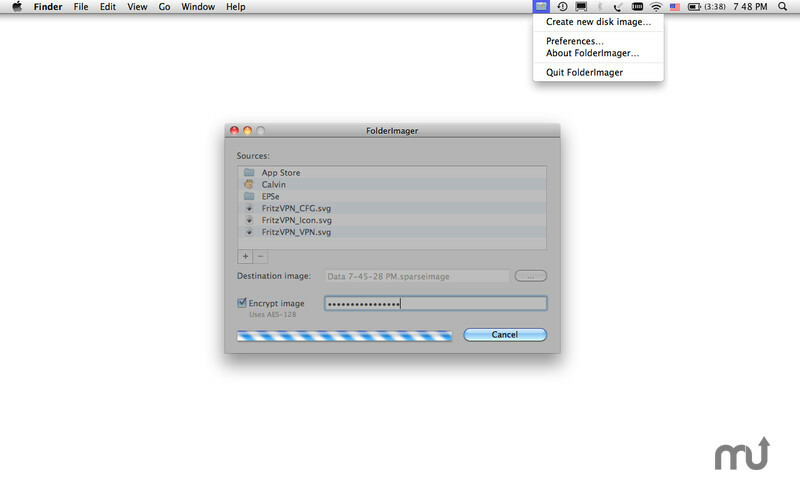 FolderImager creates disk images from files and folders. Disk images are useful if you want to transfer files in one single convenient package. They can be mounted like real drives, you can read and write, copy and delete from them. There is no need to repackage the content, everything stays inside the disk image, even when editing the data. You can encrypt your disk images which makes them perfect for transferring files on a USB thumb drive. Even if you loose the drive your data is perfectly safe. 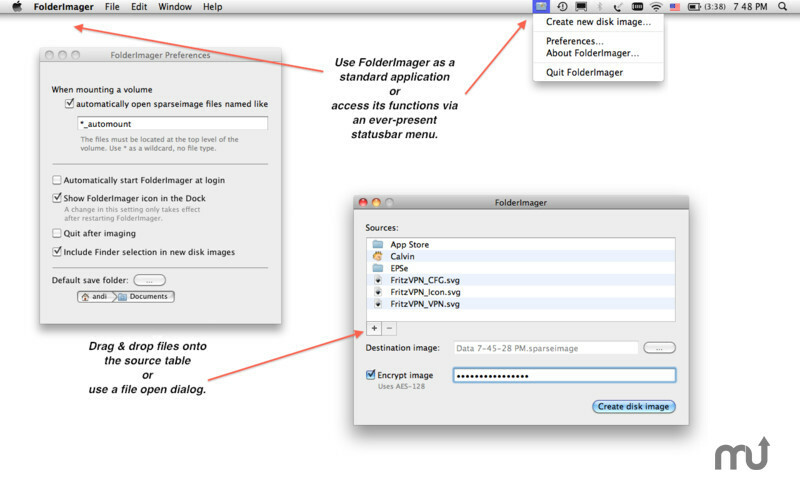 FolderImager uses the same AES-128 (Advanced Encryption Standard) secure encryption the system uses. 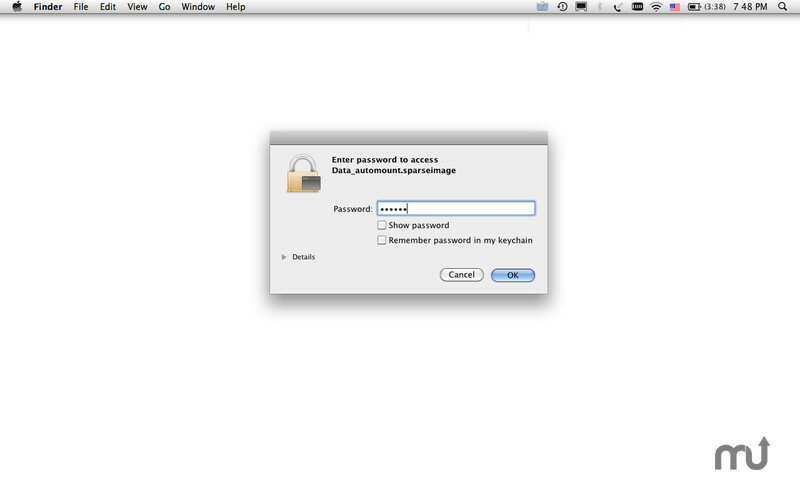 If your Mac trusts this algorithm, so can you. 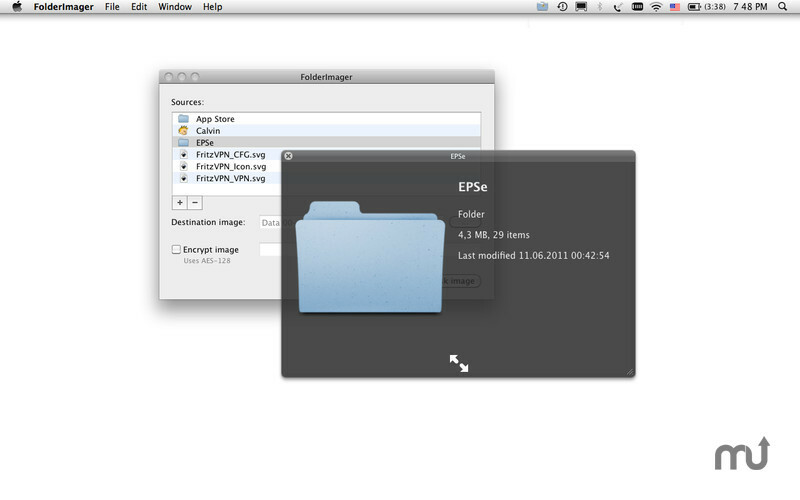 FolderImager automatically mounts disk images stored on external drives (hard disk, thumb drive, etc.) when you connect such a device to your Mac. You can then work with your files as if they are stored on a other separate volume. There is no need to manually mount the disk images or copy them to the internal hard disk. You can carry files from or to work and use them with minimum effort. You can either run FolderImager as a standard application or you can integrate it into the menubar. Then you can access its functionality from everywhere.